Okay, I finally broke down and walked into my neighborhood Mac boutique and picked up Ruby Woo. I broke down because every time I liked someone’s lipstick and asked what they were wearing I heard the same response, Mac Ruby Woo. I had enough. I can honestly tell you that the color is gorgeous, but there is no staying power, I have to reapply after every sip of my green juice or decaf iced coffee. But then again it was under $20, what do I expect? In either case my lips look gorgeous darling. If anyone has any tips on what to wear it with to help give it more staying power I’m all ears. 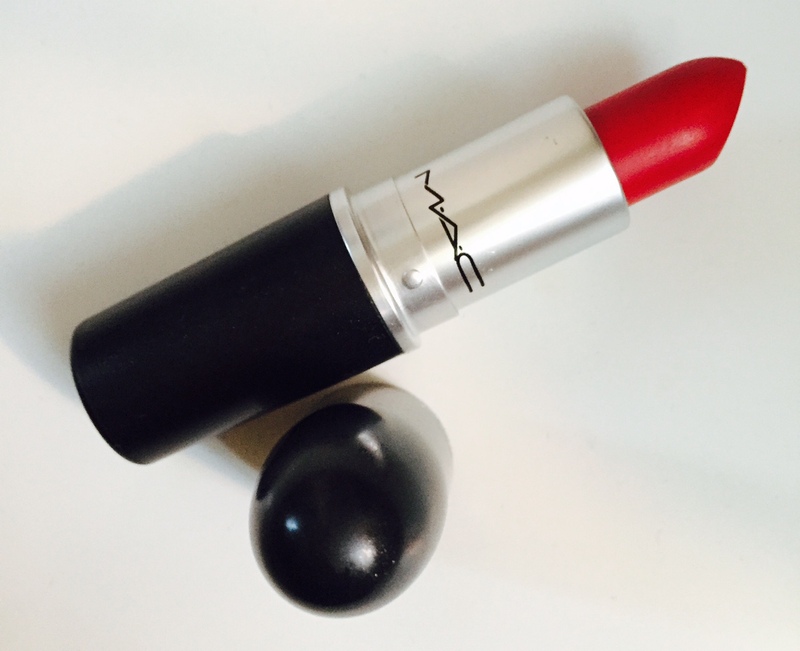 Gorgeous lipstick. I need this in my makeup collection. Hi! It is really pretty and I’ve seen it on various women with different skin tones etc, it’s like a universal red. Let me know if you pick it up. Sure, I’ll check it out and thank you for stopping by. I know, I once bought lip pencils only to have them have no application power and the Ruby Woo has no staying power, but I guess it’s great for a photo. Its really a beautiful color…I m currently using this one. Gud review. Thank you! Try the New Tom Ford Ruby Crush, that’s coming up. Ruby Woo is my must have lipstick. I can’t live without it. Great idea thanks! Let me know if you find another shade you love! Thank you Abby for stopping by and yes, it is a gorgeous color. It looks amazing on everyone.